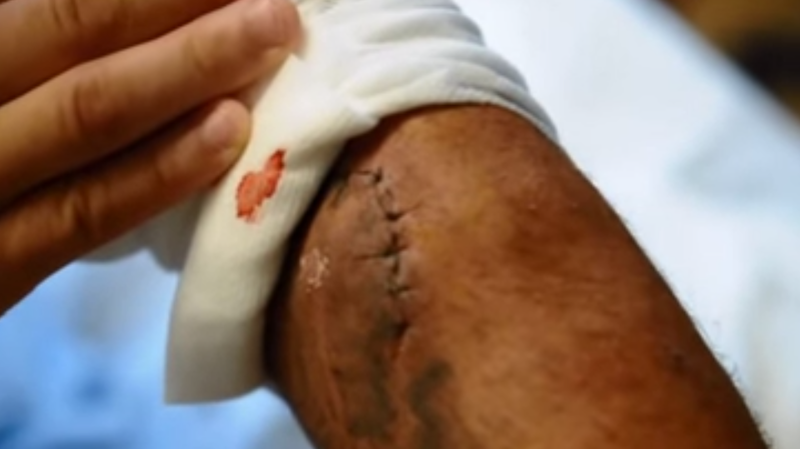 Professional mixed martial artist, “The Bethlehem Brawler,” Mike Liberto bounced back from a serious ACL knee injury to only be admitted back to the hospital from a staph infection that almost cost him his arm but more importantly, his life. Liberto warns other fighters of the seriousness of the illness. Staphylococcus or staph for short, is group of bacteria that can cause a multitude of diseases. Staph infections can turn deadly if the bacteria invade deeper into your body, entering your bloodstream, joints, bones, lungs or heart. Liberto (1-0) as a pro was sidelined with the ACL injury in 2014 and has been itching to get back into the cage. He did manage to work in a boxing bout but is once again sitting on the shelf with the staph infection that could have spelled disaster. According to doctors, the Bethlehem Brawler was just hours away from a fatal result. Before turning pro the brash spoke fighter went undefeated (6-0) as an amateur mixed martial artist. Now, after fighting for his life, the Brawler says that he is ready to get his health back and continue adding W’s to his fight record, quite possibly as early as October. A suggested product for any athlete training in the gym, Defense Soap. There are active ingredients in Defense Soap that have been clinically proven to be effective against staph. Defense Soap contains two of nature’s most powerful antimicrobial essential oils: Tea Tree and Eucalyptus Oil. These oils have been clinically shown to control the types of skin bacteria, fungus and viruses known to cause infections. Defense Soap delivers these natural ingredients deep into the skin’s pores with a high-quality deep penetrating lather. Simply leaving the lather on the skin for a few moments removes most of the the conditions necessary for their survival. Because the ingredients in Defense Soap does not kill all the bacteria —as chemicals like Triclosan or Alcohol would do—the delicate balance of natural skin flora is not disrupted. Therefore, the skin’s natural immunities and healthy bacteria can recolonize and help prevent reoccurring outbreaks. Apart from other serious health risks this is one of the most common problems associated with the topical use of antibacterial chemicals.